After a highly entertaining start to the three-match T20 series, the actions now moves the Johannesburg as hosts, South Africa take on the No.1 ranked team, Pakistan. Both teams have lined-up with new look teams and a sense of freshness to it which has already resulted in one quality game of cricket with two more in store for the cricketing world to witness. While Pakistan's bowling in the death overs has been top notch over the past year, the young brigade of South Africa is here to prove a point that they are still a force to reckon with in spite of AB de Villiers' retirement. Considering the competitiveness of the Johannesburg pitch, this match is sure to be fought over closely with the series on the line for both teams. Sarfaraz Ahmed, Asif Ali, Babar Azam, Faheem Ashraf, Fakhar Zaman, Hasan Ali, Hussain Talat, Imad Wasim, Mohammad Amir, Mohammad Hafeez, Sahibzada Farhan, Shadab Khan, Shaheen Afridi, Shoaib Malik and Usman Shinwari. Janneman Malan, Reeza Hendricks, Gihahn Cloete, Rassie van der Dussen, David Miller, Heinrich Klaasen, Wiaan Mulder, Andile Phehlukwayo, Chris Morris, Lutho Sipalma, Junior Dala, Beuran Hendricks and Tabraiz Shamsi. Skipper Faf du Plessis has been rested and David Miller will captain South Africa. The team management could be tempted to play young Lutho Sipalma instead of Junior Dala with the former having a dream MSL which has propelled him into national reckoning as well. Willem Mulder could also play instead of Andile Phehlukwayo considering his workload over the past few weeks. Pakistan shouldn't be making any changes to their side with Sarafraz Ahmed still serving his suspension. Faheem Ashraf could be swapped for either Mohammed Amir or Shaheen Shah Afridi with enough batting depth already present in the Pakistani side. Babar Azam will once again be key to their fortunes. They will be hoping for another fruitful result at the very ground where they thumped the Proteas in the fourth ODI last week. Possible XI: Babar, Zaman, Talat, Malik (C), Rizwan (WK), Asif Ali, Imad, Shadab, Usman, Hasan Ali and Amir. Wicket-keeper: Gihaan Cloete was the beneficiary of Quinton De Kock's injury and should be able to perform well at the top of order considering his talent. Mohammed Rizwan is also a viable option to choose although Cloete's familiarity with the conditions should do him good. Batsmen: Fakhar Zaman and Rassie van der Dussen fell cheaply in the previous game and would be itching to perform better in a crucial clash for both teams. Along with the aforementioned duo, the likes of Reeza Hendricks and Babar Azam would also be handy options to have. All-rounders: Chris Morris is one of the more dependable bowlers in the format and with his pinch-hitting ability, he is a valuable selection. Along with him, one of Shadab Khan and Imad Wasim should suffice with both of them in good form as well. Bowlers: Usman Khan Shinwari has been impressive over the last few matches and is a must-have in the fantasy team along with Beuran Hendricks. Tabraiz Shamsi also had a decent outing and is the only available spinner in the South African side. He should be backed to do well along with Hasan Ali in the second T20-I. Captain: Fakhar Zaman and Reeza Hendricks are two very good players to have at the top of the order. Their form in 2018 is truly sensational and would be worth the pick if they are selected as captain for the match. 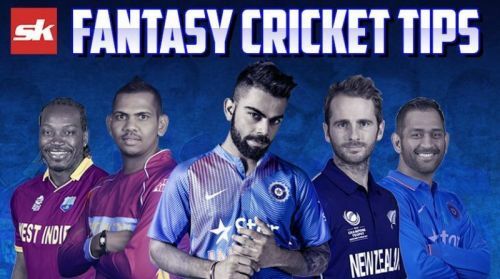 Fantasy Suggestion #1: Gihann Cloete(WK), Babar Azam, Fakhar Zaman, Heinrich Klaasen, Rassie van der Dussen, Shadab Khan, Chris Morris, Hasan Ali, Usman Khan, Tabraiz Shamsi and Beuran Hendricks. Captain: Fakhar Zaman.